Warmest on record? Not exactly, the WMO got weather and climate mixed up. For the full commentary, go here. It is fascinating that in the information age, when we supposedly have access to anything and everything in the way of information, it is so hard to figure out just what the truth is. What is not politicized, seems to be printed in sheer ignorance. Politics trumps Truth every time. We should make a little more noise about facts and truth. Google employees apparently wanted to ban any Conservative commentary, yet are happy to connive with the Chinese government in suppressing the freedom of China’s citizens to complete control. Apparently those who have spent their lives so far learning technology issues, have neglected to learn any history, or read the Constitution, or learn the nature of the free enterprise system. James Delingpole, British writer, rants regularly at Breitbart about the utter goofiness of the world’s climate true believers. He wrote today about a climate “science” scam that keeps on rearing its ugly head, in spite of being debunked thoroughly over and over. Not only is Williamson based at the “University” of East Anglia – aka Climate Alarmism Central, heavily featured in the Climategate scandal – but since 2010 he has been paid as Science Coordinator of the UK Ocean Acidification research programme. This project has received around £12.5 million of UK government funding, most is provided by the Natural Environment Research Council (for which conveniently Williamson also works). 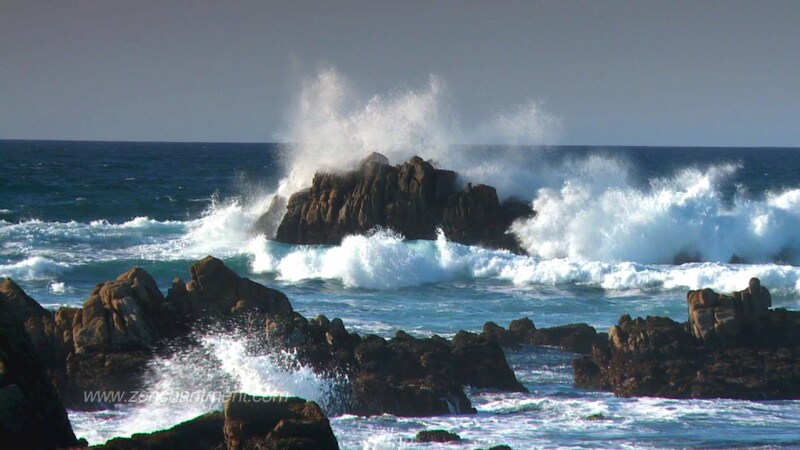 Dr. Robert (Bob) Carter, the late Australian Marine Geologist, laughed once and said “As long as there are rocks in the ocean, it will never be acid.” (that may not be an exact quote, but close), the sensible message stuck with me. Many climate scientists who are based at one university or another find the drive do battle with “global warming” has financed a new and important department, the needed equipment, and the advocacy keeps drawing taxpayer funding to support it. It’s all a very incestuous scheme that should be considered scandalous, were they not so serious about it all. Patrick Moore, when he was young and radical, was a founder of Greenpeace. He found, long ago, that Greenpeace was more interested in being radical than in having a relationship with truth and simple facts. Here he explains why and how the climate is always changing, why we cannot predict the future, and why the label “denier” which the Left tries to stick onto the folks who are interested in the real science of climate change, but don’t believe it is an approaching catastrophe — because we can’t predict the future. For decades, the federal government has been telling us what to eat — not that we pay that much attention — but nevertheless they regularly establish dietary guidelines. A new article by University of Alabama Birmingham researcher Edward Archer and colleagues Gregory Pavela and Carl Lavie and published this week in the Mayo Clinic Proceedings, informs us that the conclusions drawn by the federal government’s controversial Dietary Guidelines Advisory Committee (DGAC) are bunk. They were more polite, they said their work rests on fatally flawed assumptions about usable data, and the research used to support their work is so far off base as to be scientifically useless. They’ve just been plain wrong as well. We were told never to eat butter, but to use margarine instead. Now we are urged to eat butter and not use margarine. The grocery stores are well ahead of the feds. They hardly carry any margarine at all anymore. The dietary guidelines mistakenly urged us to rely on lots of whole grains and other carbohydrates, and the stores stocked up on lots of tasty snacks, If they are wondering where the obesity came from — there you go. 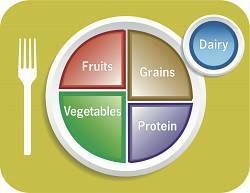 And pay no attention to the healthy plate diagram shown above. That’s bunk too. It is even worse than shown by this graph. 1977 was a year chosen by the “warmists” to demonstrate the “massive” increase in temperature. It was actually the low temperature period of the 20th century. Headlines were full of a “New Ice Age” scare. President Obama tried to pressure “climate change deniers” in a recent interview. He said that most CEOs in the United States are paying attention to climate change, and they are more concerned with the administration’s climate policies than with debating the science. What they want is some certainty about the regulations so they can start planning. They have to make capital investments and have to look at investments for 20 and 30 years out. They have to know if we are putting a price on carbon? Are we serious about this? “But none of them are engaging in some of the nonsense that you’re hearing out of the climate change [deniers},” Obama said. The president drew a stark contrast between the questions CEOs are asking about his carbon pollution limits on existing power plants and the attacks from Republicans in Congress who say the standards will devastate the economy and businesses. Companies like General Mills, Microsoft, IBM and Coca-Cola have joined efforts to mitigate climate change. Some oil companies like Shell have also joined others in supporting strong cuts to greenhouse gas emissions. I think you’d have to say that we’ve managed the economy pretty well and business has done OK. This is so delusional, you just have to wonder. We are also told that he doesn’t talk to anybody outside of his closest advisers. Certainly he has no understanding that his job growth does not compensate for the new people who are entering the job market and those who have given up and are no longer looking. The situation is getting worse, not better. Nobody is a “climate change denier.” Climate change is always going on and the planet warms and cools in cycles that are not yet well understood. 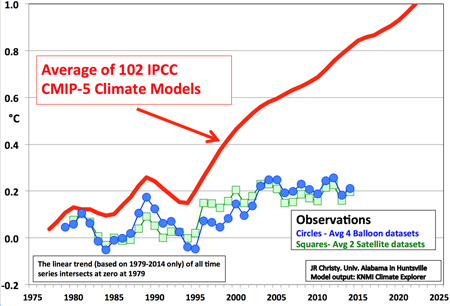 What we do deny is that the slight increase in warming — less than 1° in a century —is anything to get excited about. The planet has been far warmer in the past, and the Medieval Warm Period which was much warmer, was the finest climate known to man. The Vikings settled in Greenland and built farms. Wine grapes grew in northern England, and the fine climate meant the fend of the Dark Ages and the flowering of the Renaissance. Today there has been no warming for over 17 years, for the sun has gone quiet. The greens insist that warming will mean more hurricanes, more tornadoes, more forest fires, rising oceans, the list of things that are or will be caused by global warming climate change is unbelievably long, and fairly amusing. A dozen states filed suit on Friday to stop the Environmental Protection Agency (EPA) from enacting its “Clean Power Plan.” These are the new rules that would put many coal-fired plants out of business, and hundreds of people out of their jobs. The EPA held hearings last week for the public about the plan. Four hearings, nationwide. In Pittsburgh thousands of coal workers turned out to register their objections to the Obama administrations intentions. The Clean Power Plan is a very bad regulation that has far more negative results that the EPA understands. If the climate is actually cooling, and last winter was a preview, then America will need more electric power, not less. Coal-fired power plants currently provide about 40 percent of our electricity needs, reliably and cheaply. Retrofitting those plants to meet EPA standards may mean that most will shut down because the possible retrofit is too expensive. Big jumps in the cost of power on top of big jumps in the cost of health care may be, to use a favorite theme of the left — unsustainable. Increases in the cost of energy means inflation as the cost of everything goes up dramatically. The Left does not understand incentives, and they really don’t understand, nor look for, unintended consequences. They still do not understand that wind and solar are simply unworkable and can never produce any significant part of our energy needs. Filed under: Education, Energy, Environment, Global Warming, Junk Science, Science/Technology | Tags: Junk Science, Science Fact and Falsehood, What Do We Really Know?